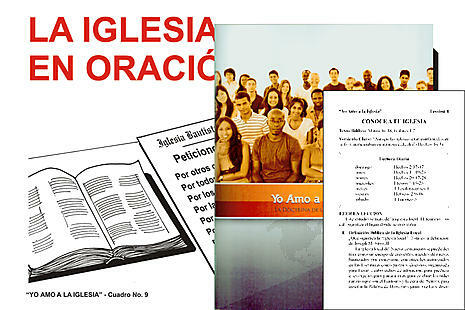 Each title consists of: a printed teacher´s book, plus a downloadable file with a set of visual aids, a Power Point presentation, and student leaflets. The student leaflets and other pedagogical materials can be downloaded for free directly from the EBI web page. It is permitted to make as many copies as needed for your own ministry. To obtain the downloadable materials, select from the menu the desired product under each title and place them in the shopping cart. Upon completing the checkout, a confirmation window will appear on your screen that contains a link for the download. You will receive an email of the same confirmation window. Follow the link for immediate download. A study of the Epistles of 2 Peter, 2 and 3 John and Jude. C. Lloyd Button. A study of the life of the Lord Jesus Christ based on the synoptic Gospels. Timothy S. Reder. A study of the book of Genesis. Ernest Pickering. A study of the person and work of the Holy Spirit. Merle R. Hull. A study of the purpose and work of the Local Church. Arthur B. Walton. A study of the Epistle of 1 John. A study of the doctrine of salvation. Arthur B. Walton. A study of the life of Daniel and the prophecies which God gave him. W. Wilbert Welch. A study of the Epistle of 1 Timothy. Donald K. Anderson. The doctrines which are characteristics of Baptists.